Highly Interactive, fully customisable and works with ANY performer! Living Loops is an interactive real-time visualization system invented by our tech-wizard, Ryan Walker (of SpiralTechnica.com). It tracks the movement of lights in space, and projects a representation of the lights movement through time on the screen in front of the user. This can happen behind the performer on a massive onstage LED screen, or projection mapped across facades of interesting surfaces. 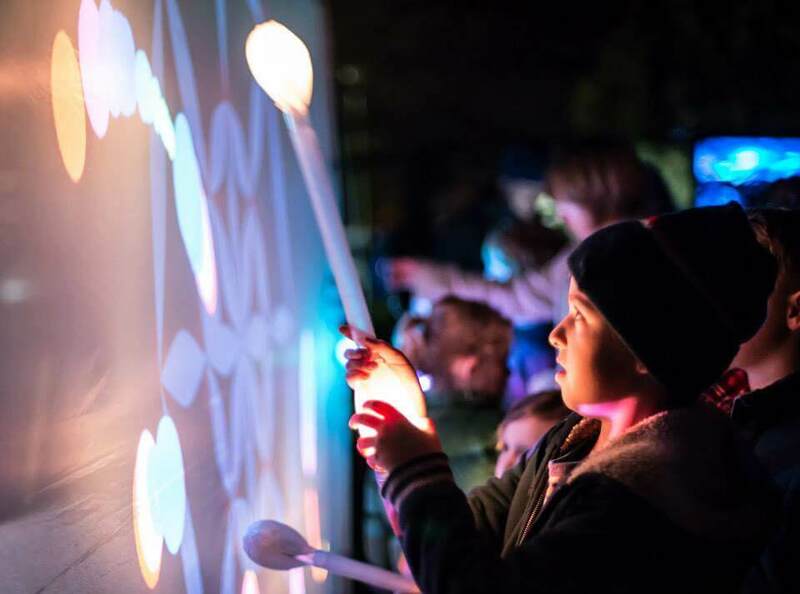 Ryan’s installation has been featured in New Zealand’s prominent Light festival, “Light Nelson”, and other cultural/arts festivals including Luminate, Under the Spinfluence, Autumn Arena and Circulation. The videos below illustrate the diversity of this incredible system.